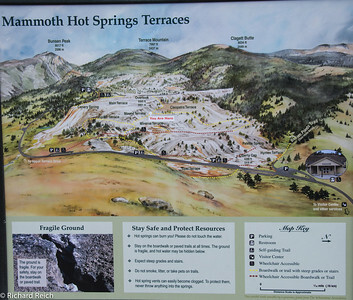 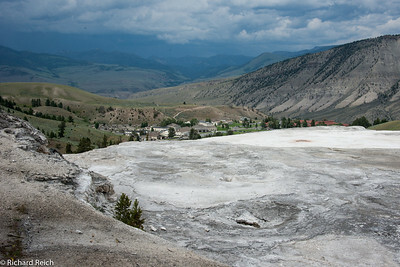 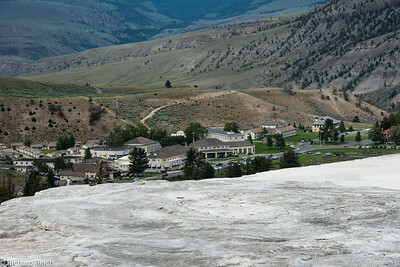 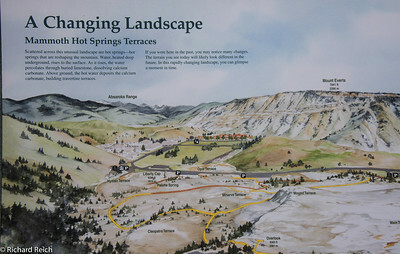 Mammoth Hot Springs is a large complex of hot springs on a hill of travertine in Yellowstone National Park adjacent to Fort Yellowstone and the Mammoth Hot Springs Historic District. 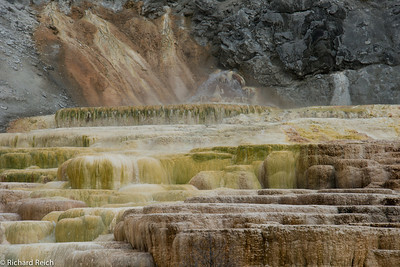 It was created over thousands of years as hot water from the spring cooled and deposited calcium carbonate. 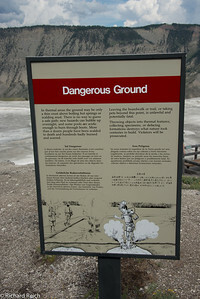 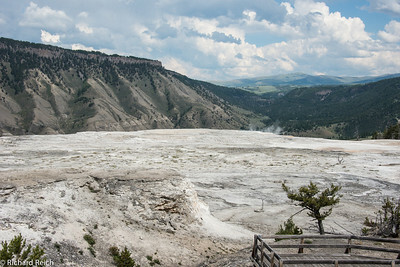 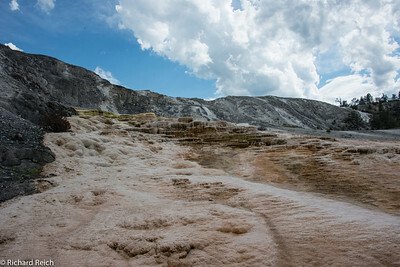 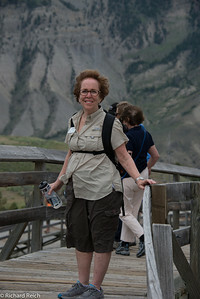 Although these springs lie outside the caldera boundary, their energy has been attributed to the same magmatic system that fuels other Yellowstone geothermal areas. 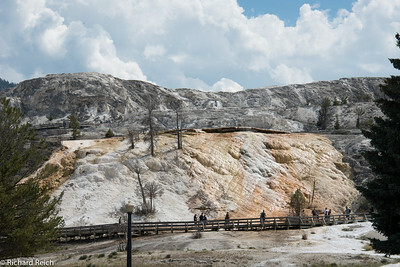 These features are quite different from thermal areas elsewhere in the park. 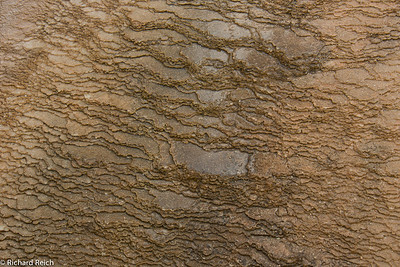 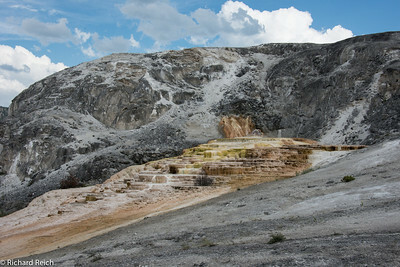 Travertine formations grow much more rapidly than sinter formations due to the softer nature of limestone. 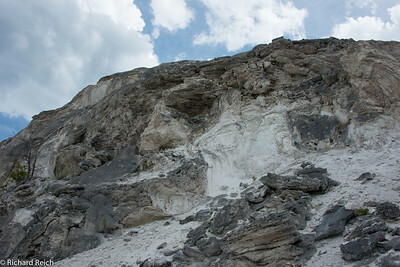 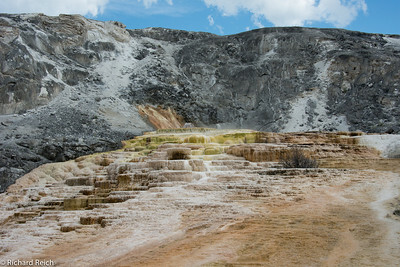 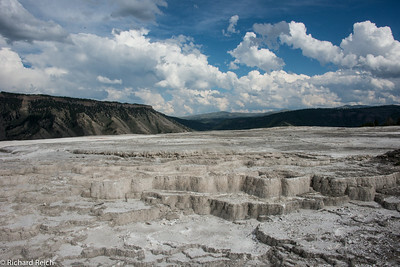 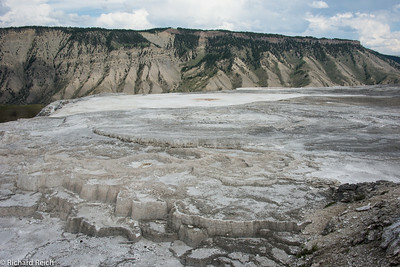 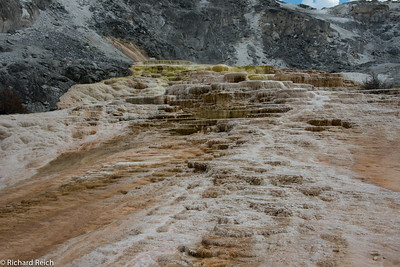 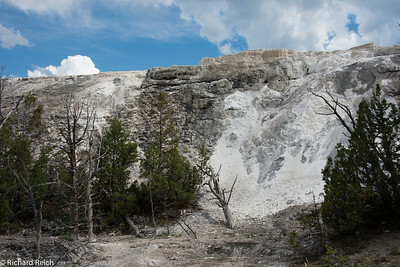 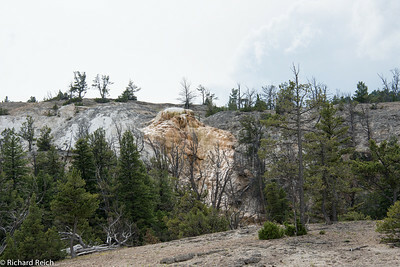 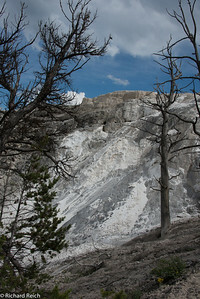 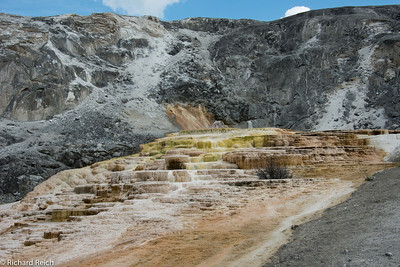 As hot water rises through limestone, large quantities of rock are dissolved by the hot water, and a white chalky mineral is deposited on the surface.